Hare Coursing. 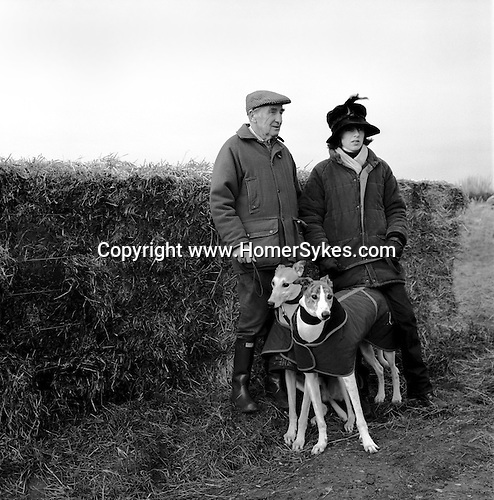 Cliff Standing and daughter Caroline with their greyhounds wait for a signal to walk their hounds down to the starting position during the Greyhound 2000 Meet. Near Six Mile Bottom, Newmarket, Suffolk. Photograph is of trainer and owner Cliff Standing.